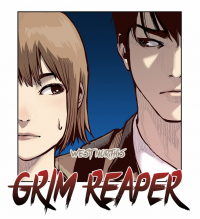 West-North’s Grim Reaper chapter 1 New Serie!!! This is just…fabulous. Man, look at what the editor(Eva) did there! Man, she edited that!! THAT!!!!!! (editors will understand.) Praise Jay (translator), Praise Eva (Editor)!